In anticipation of the 100th Anniversary of Easterseals on April 22, we are celebrating with a renewed commitment to creating a future where everyone – regardless of age or ability – is 100 percent included and empowered within their communities. When we say everyone, we truly mean everyone – including the more than 20 million military veterans who live in the U.S. As a former U.S. Air Force Officer, Easterseals’ mission to provide wraparound support for veterans and their families is particularly important to me. In my first week on the job at Easterseals a little more than a year ago, I was honored to go to Capitol Hill to discuss how we’re reducing veteran homelessness. Easterseals’ commitment to veterans dates all the way back to World War II. Last year alone, Easterseals and our 70 affiliates in communities nationwide supported nearly 20,000 veterans and military family members. 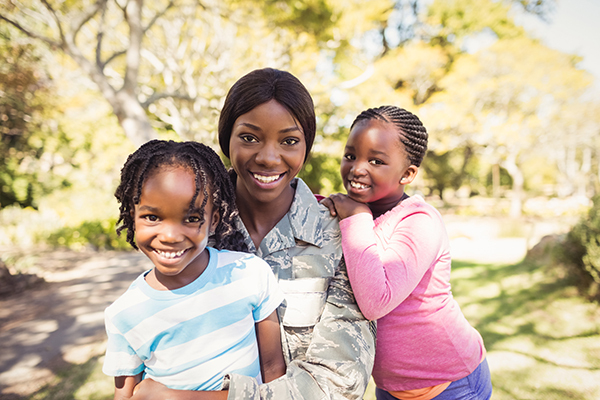 Because every veteran has their own unique experience, we respond directly to the needs of each individual by offering programs designed to help veterans and their families successfully reintegrate into their communities. These services include employment and job training, healthcare coordination, mental health programs, caregiver support and health and wellness programs. Through funding from the CVS Health Foundation, 11 Easterseals affiliates are receiving funding to support programs that prevent and mitigate prescription drug abuse among veterans. These programs support veterans who are seeking treatment for substance misuse by providing a range of community-based services so they can fully focus on recovery. Since 2016, the CVS Health Foundation has partnered with us to impact hundreds of veterans through access to healthcare and smoking cessation. As Easterseals celebrates its 100th Anniverary, we celebrate our legacy of delivering life-changing services and powerful advocacy on behalf of the one in four Americans living with disability today and look forward to our next century of service in creating a future where veterans and non-veterans alike are 100 percent included and empowered. 1. Live: Hands-on services that provide a wide range of health and wellness resources that empower children and adults with disabilities, veterans and older adults to reach their full potential. 2. Learn: Educational programs that help children and adults learn, or re-learn, the basic skills they need to thrive across their lifespan. 3. Work: Training programs that help people with disabilities and veterans prepare to enter or re-enter the workforce. 4. Play: Recreational programs that help individuals across several age groups participate in camping and other fun outdoor activities to relax and connect with friends. 5. Act: Volunteer programs that provide everyone with the opportunity to get involved with their community and advocate for veteran issues. It’s with great passion that I encourage my fellow veterans and military families to consider these five areas when looking for ways to improve their lives or those of their friends and neighbors. Easterseals will continue to champion the most effective ways to support those who need it most, but the most impactful participants in this cause are the volunteers and supporters who work to make a difference every day. There are countless numbers of ways that community members from all walks of life can make a difference, such as volunteering at a local event, participating in a fundraising campaign or engaging civic leaders to raise awareness of veteran issues. There is a role for all of us to play in creating a future where every one of us is 100 percent included and 100 percent empowered. If you need help getting started, I personally invite you to visit our website at www.Easterseals.com for information about our programs as well as opportunities to contribute within your community. 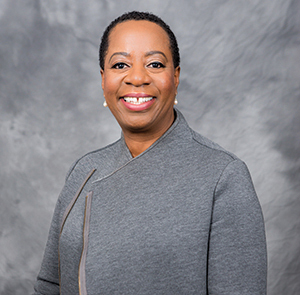 Angela F. Williams is President and Chief Executive Officer of Easterseals, Inc. In this role, Williams is leading the national organization in its 100th anniversary in 2019 as the country’s leading nonprofit provider of services for people with disabilities, including veterans, and their families. She began her professional career as an officer in the United States Air Force, serving in the Judge Advocate General’s Corps.